Each night at dusk, white flowers fill the air in my backyard with a scent so intense that I'm reminded of a candle shop. The flowers glow in the twilight, appearing almost like stars in clusters at the top of the tall plants I've grown in pots and spread out all around. 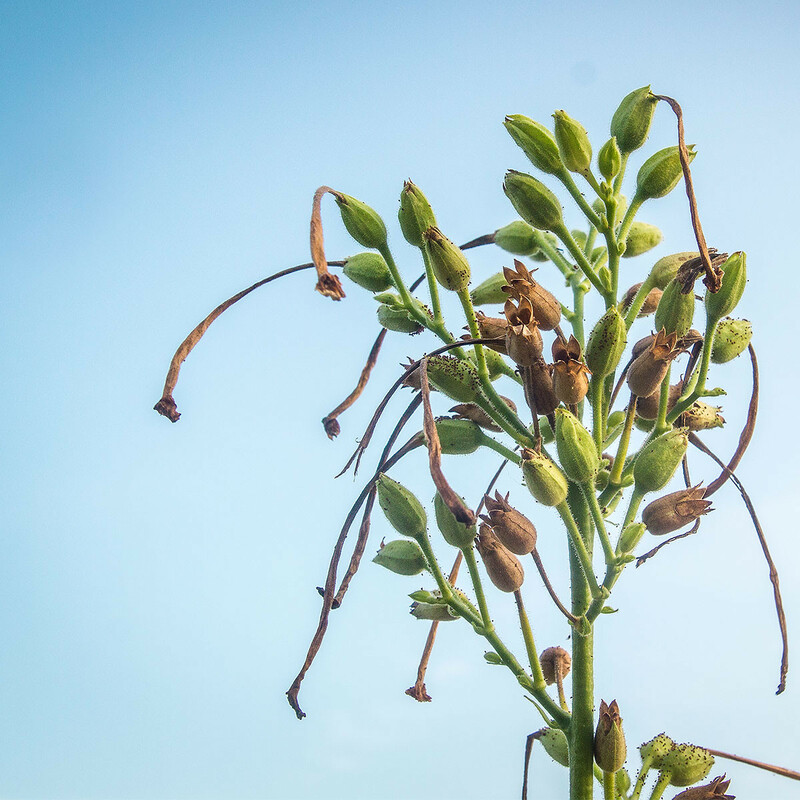 They're commonly known as flowering tobacco, and there's a sort of cult following that grows them for reasons that are clear to anyone who's ever given them a try. Some plants have enthusiasts who enjoy growing them; tobacco seems to have addicts, and anyone who's taken in their fragrance understands why. 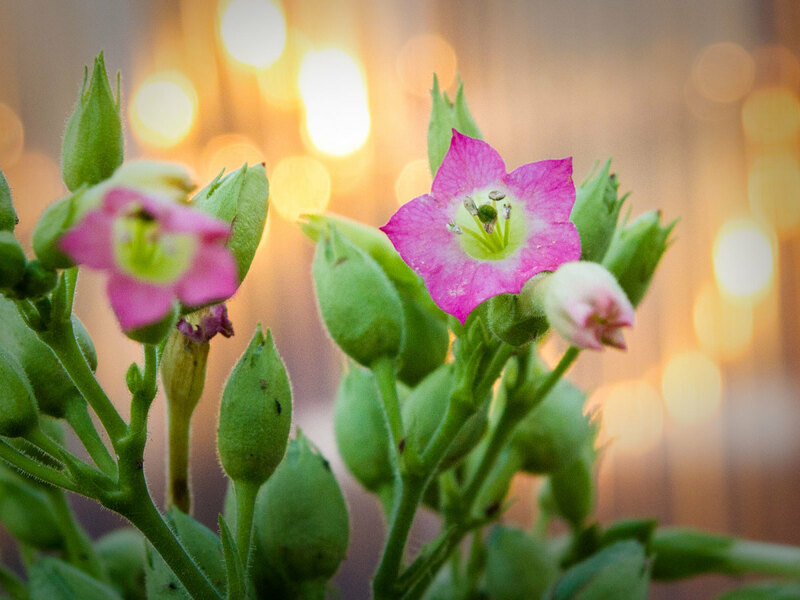 Also known by their scientific name nicotiana, these flowering plants are related to the common tobacco that's smoked. 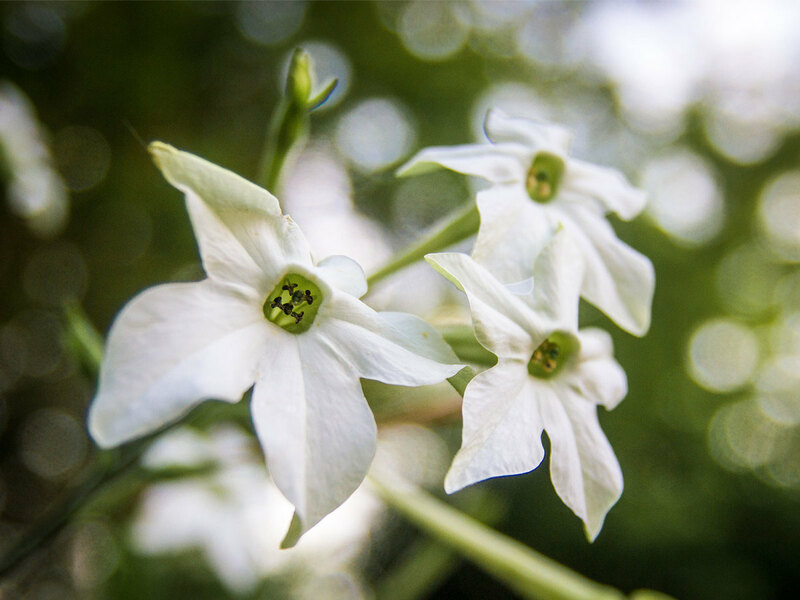 You can see the word nicotine in their Latin name; but because these scented varieties can be several times more poisonous than their common counterpart, they're grown only for their beauty and fragrance. The plants are attractive, with broad, oblong, light green leaves that come to a dull point at the tip, but they're not spectacular. The compelling attribute about tobacco is its flower. Most varieties have blooms with a trumpet shape, about three inches long and as big around as a quarter. The petals can be star-shaped, round or boxy, depending on the variety. Their flowers come in white, pink, purple and green. Some have no scent we can detect; they're just for looks. I prefer the scented varieties, which are usually white. I was in college when I ordered a packet of nicotiana Azteca from Seeds of Change back in the mid '90s. It was the first time I learned that some flowers put on their best show at night, not the day, and the thought of such an intense fragrance of jasmine filling the evening air was what got me interested. When the seed arrived in the mail, I planted it in my greenhouse in early spring, just as the packet said to do. The seed was as fine as ground pepper and needed to be sown on the surface of the soil. I kept the soil moist, as directed. 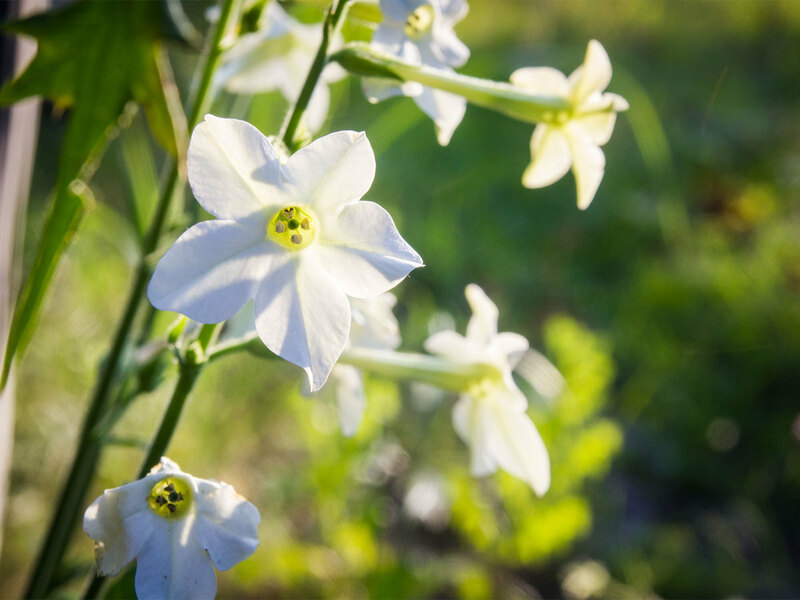 Nicotiana blooms in April and continues to flower through the summer. If I plant a scented variety, I can enjoy the fragrance every night. A couple of weeks later, I had nothing. I set the hanging baskets in which I had sown them outside my house, disappointed and frustrated by yet another failed attempt to grow something nice. 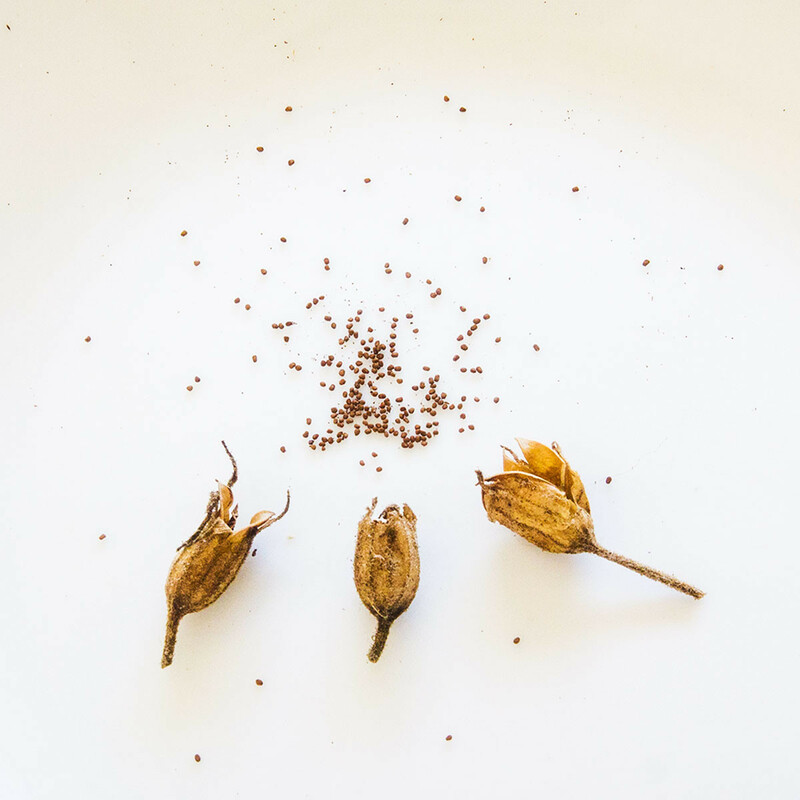 At that time in my gardening experience, sowing anything with delicate seeds was a mystery to me. Likewise, growing petunias had always been an ambition of mine since childhood, but every attempt ended the same way, with only a couple of seeds germinated and none to maturity or flowers. But sometime around June, I walked about 10 feet from where I had set the hanging baskets and was struck by a strong perfume. I traced it to one of the baskets. A nicotiana plant was in full bloom, though dwarfed from lack of care. From that experience I learned that much of my problem with delicate seed was due to my giving the plants too much attention. Sometimes plants need a dose of benevolent neglect. We tend to overwater them and watch out for anything going wrong, to feel like we're taking care of them. 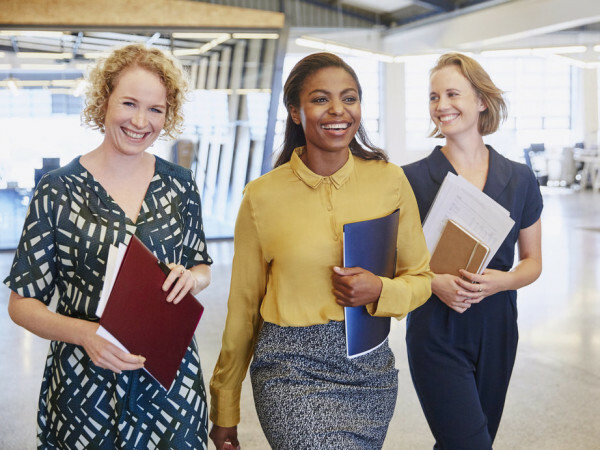 Forgetting about them and giving them time to do what they do can be all that's needed to see something happen. I learned that nicotiana was easy to grow. Once started, it only needs its soil to be kept moist, and a little liquid fertilizer once a week. 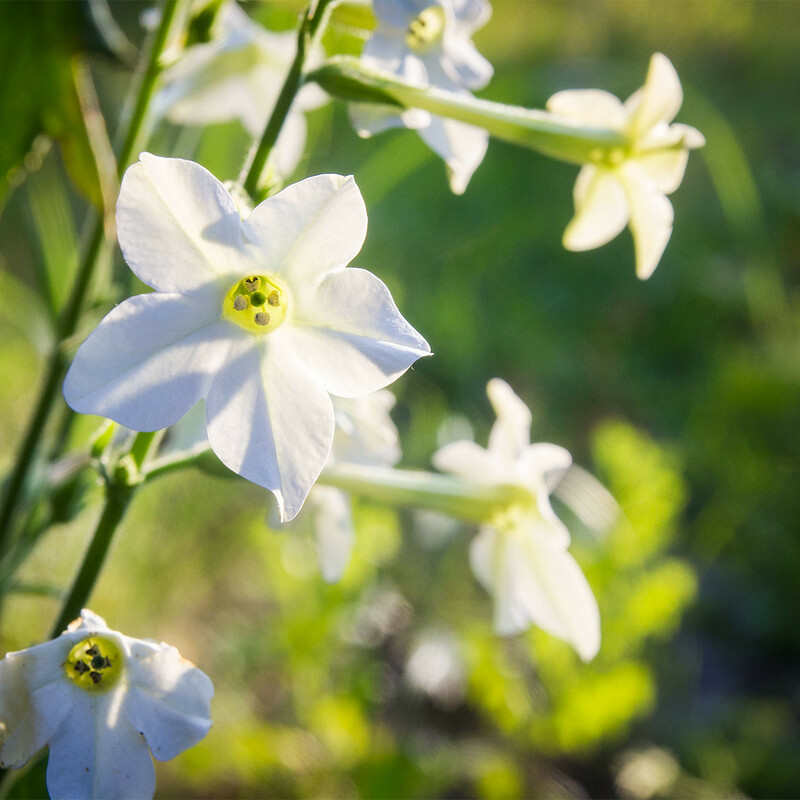 Nicotiana blooms in April and continues to flower through the summer until it's killed by frost. That means that if I plant a scented variety, I can enjoy the fragrance every night. After several years of growing about a dozen pots around my greenhouse and in my backyard, I now associate summer nights with the fragrance. It wouldn't be summer without it. I couldn't stand the thought of summer going by and not having a good showing of scented flowering tobacco. 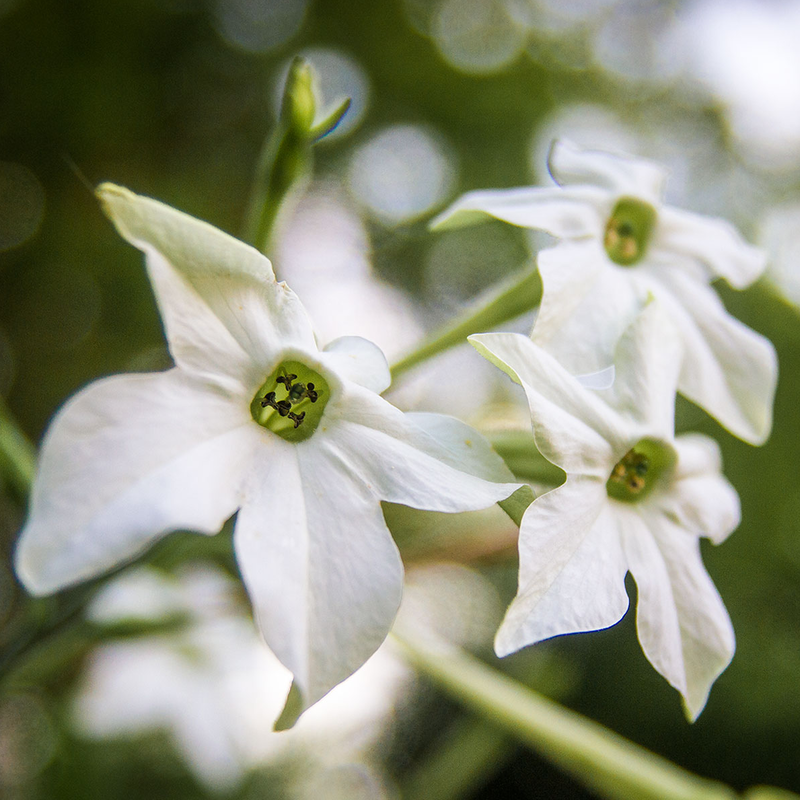 I've grown nicotiana sylvestris and nicotiana rustica, but, neither has come close to nicotiana Azteca's potent fragrance. My wife has tried pink Louisiana Piroque nicotiana and lime green Langsdorf. Neither were scented, but somehow the beautiful flowers still attracted hawk moths. There may be scents humans can't detect, because the hawk moth works at night, and the flowers it pollinates attract the moth by scent, not sight. 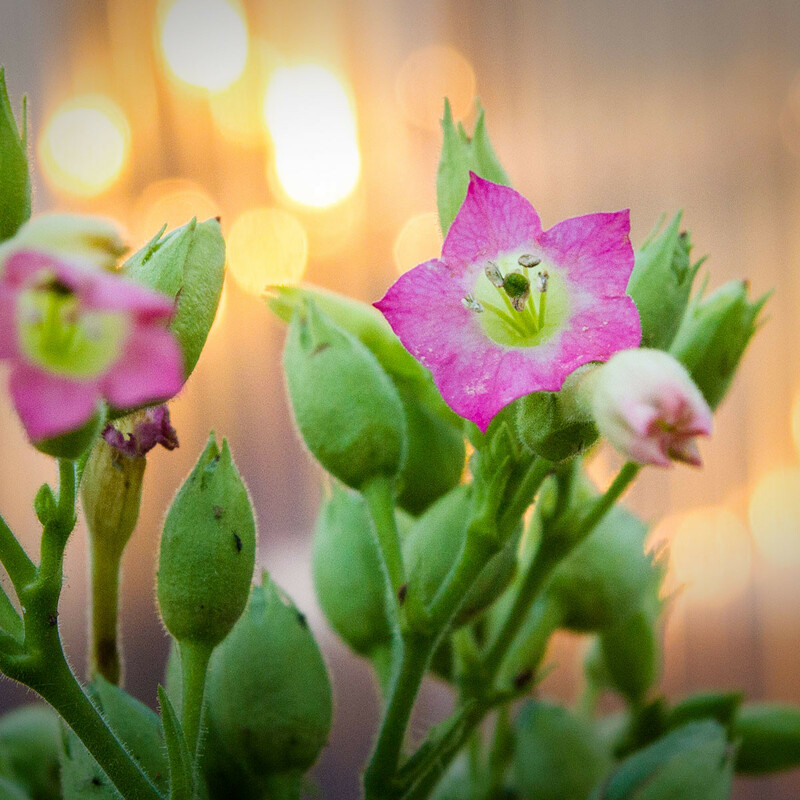 Because of its nighttime scent, flowering tobacco attracts beneficial moths to the garden who assume the work of pollinating crops when all the other pollinators have gone to bed for the evening. These nocturnal pollinators bring a sort of 24-hour work day to the garden, ensuring that tomatoes, peppers, melons, gourds and other crops stay at maximum production. 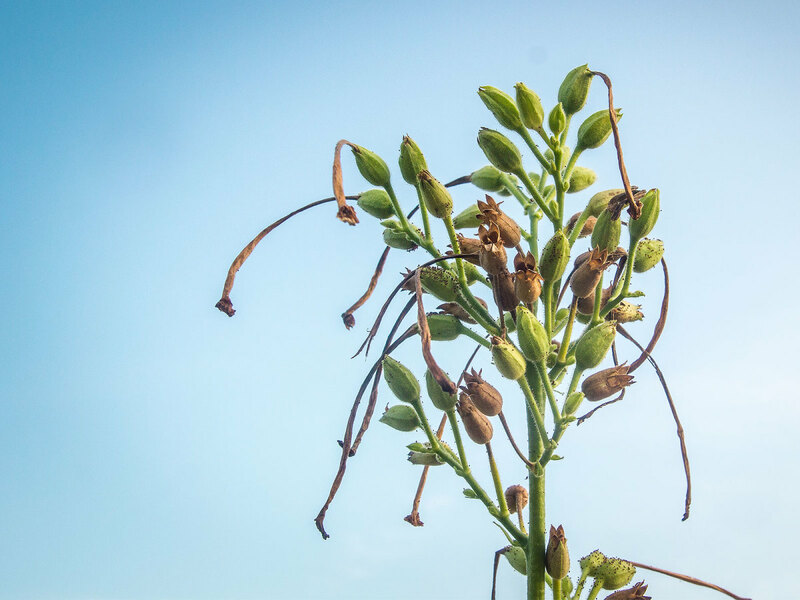 Flowering tobacco ensures these moths have the food they need to thrive, and then they take care of what we need for our fruits and veggies to grow. 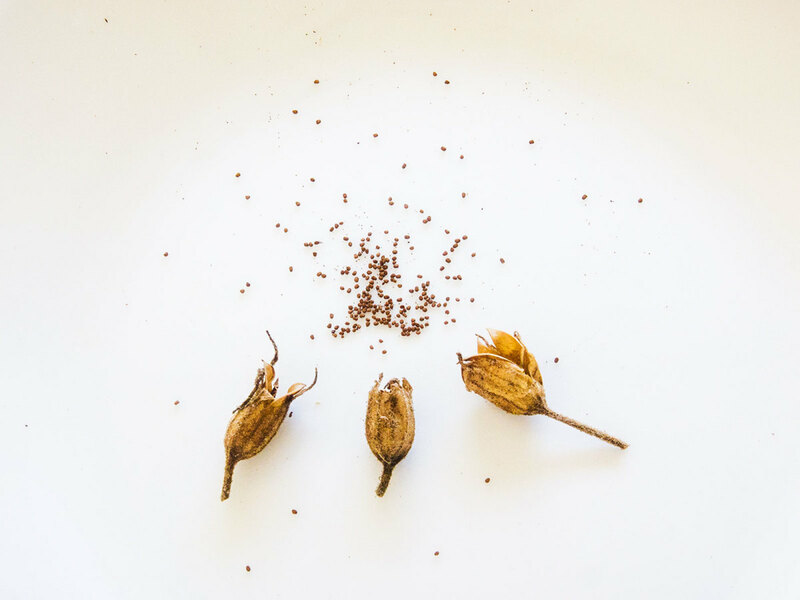 Once the blooms wither and fall off, the seed pods, which are about the size of a jelly bean and develop right where the flower was, begin to turn brown and dry up. After they're crispy, I cut them off and store them in an old tea tin. When I want to plant more nicotiana the next year, I can crinkle the seed pods over the soil where I want to sow the seed, and the pods act like a seed shaker, letting tiny seeds fall out more evenly than if I tried to sow them by pinching them between two fingertips. Because all parts of nicotiana are poisonous, I grow them only for their pretty flowers and their scent, and because I want to feed the hawk moths that look like hummingbirds and depend on nicotiana as food for their larva. An insecticide can be made from their leaves, but because of its extreme toxicity, I'd not try to make it. Seeds of Change no longer sells tobacco seeds. But nicotiana Azteca was picked up in 2015 by Baker Creek Heirloom Seeds. Some varieties I buy from Sustainable Seed Company; others I get from Botanical Interests, Victory Seeds and Native Seeds/SEARCH. Because of the flooding this year, I've not yet planted okra, squash or any of my regular dinner crops. But I couldn't stand the thought of summer going by and not having a good showing of scented flowering tobacco, so I made sure that if nothing else, I had plenty of tobacco growing in pots. To walk into the yard and smell it everywhere, or to be downwind of it and smell it in the breeze is an enjoyable experience I've got to have. This is why I consider my enthusiasm a sort of addiction. It's the fragrance that's got me hooked, and I will push through several degrees of difficulty to get my fix.